If there’s one motto that defines the illustrious Uncharted series and its 10-year legacy, it’s the one engraved on the long-lost ring of Sir Francis Drake. As any fan will tell you, it roughly translates to “greatness from small beginnings.” It is arguably the perfect one-liner for Naughty Dog’s crown jewel, which flickered into life with Drake’s Fortune all the way back in 2007. Nine years and four games later – Fight For Fortune and Golden Abyss included – and a thief reached his admittedly bittersweet end with the launch of Uncharted 4. And make no mistake, A Thief’s End really brought about Nate’s swan song – the last hurrah, the curtain call, that one final job that hauled Nate and Elena off the couch (and away from Crash Bandicoot!) and thrust them into the seedy underworld of treasure-hunting once more. For many, Uncharted 4 delivered that oh-so-satisfying sense of closure, as players bid farewell to Nathan Drake, Elena Fisher, and Victor Sullivan – undoubtedly the three pillars of Naughty Dog’s premier series – all the while immortalising the story of Drake. And what a story it was. 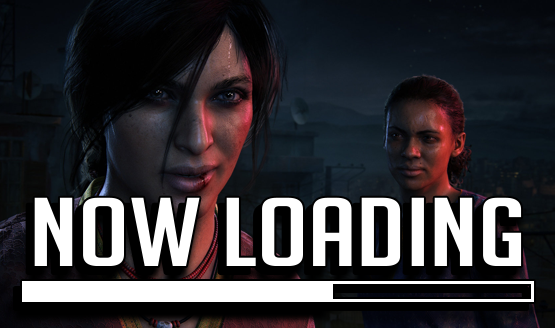 To the best of our knowledge, the Uncharted series has effectively been placed on ice since The Lost Legacy, which forged an unlikely duo in the wry Chloe Frazer and her newfound partner, Nadine Ross. Steeped in the rich history of Uncharted, Naughty Dog’s India-set standalone effectively ticked all the boxes – blockbuster action, sweeping vistas, and more puzzles than you could shake a DualShock 4 at. It also leaned more toward open-world adventure than its pixelated forebears, leading us to believe that the studio may already have an answer to that million-dollar question: in the wake of A Thief’s End and Lost Legacy, what’s next for Uncharted? Of course, one glance at the calendar will tell you that The Last of Us Part II has and will take priority for Naughty Dog right up until 2019 – if not 2020 – but that doesn’t necessarily mean that Uncharted is out of the picture entirely. This is, after all, the biggest PlayStation franchise of the past 10 years, one with enough star power to rival Microsoft and even Nintendo’s greatest IPs, all the while spawning a feature film of its own. Still incubating in the formative stages of development, we know that Tom Holland of Spider-Man: Homecoming has signed on to play Nate in a storyline that will presumably mine inspiration from the young Drake section of Uncharted 3, in which the curious thief first encountered Victor Sullivan. Yes, Sony Pictures is mounting an Uncharted prequel movie, and it’ll be helmed by Shawn Levy, the filmmaker best known for his work on Night At the Museum and a little-known Netflix phenomenon called Stranger Things. It’s a credit to Naughty Dog, then, that even after the deluge of cripplingly average video game movies, the Uncharted brand is still able to attract a host of big names – behind the lens, and in front. On the gaming front, it’s a brand that has amassed 41.7 million sales as of December 2017. Impressive though that may be, what will Uncharted look like in a post-Nathan Drake world? Buoyed by The Lost Legacy, the PlayStation powerhouse may well adopt the anthology format in the sense that Naughty Dog could circle back to the Uncharted franchise every two-to-three years and release a standalone title involving some of our swashbuckling favourites. Nadine and Chloe have already been given their time in the spotlight, of course, so perhaps it’s time to switch gears and focus on Sam? Or how about a period piece chronicling Sully’s first flirtations with the criminal underworld? We can see it now: a 80s-set yarn that’s more espionage drama than action-packed blockbuster. 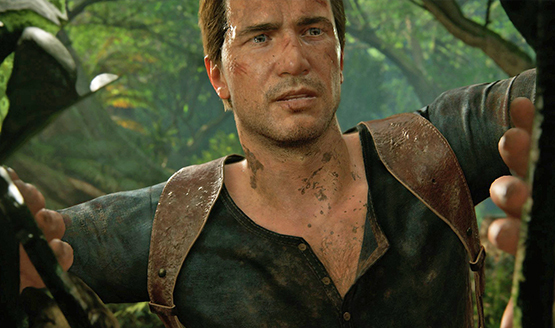 On a more serious note, Nathan Drake has been the face of Uncharted since its inception, so making the inevitable transition to a post-Nate era will always be inherently tricky – and presumably risky, as a mainline Uncharted title sans Nolan North may not have the same draw. He’ll be missed, as will Emily Rose (Elena) and Richard McGonagle (Sully). 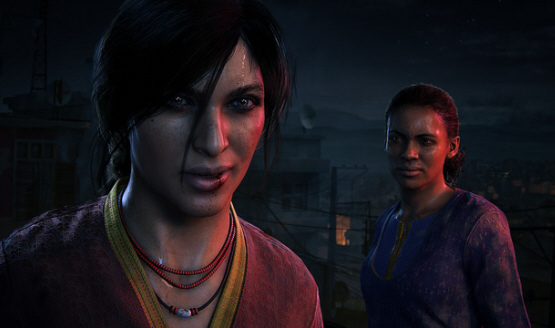 But in keeping with the ol’ saying of one door closing and another opening, this could herald a fresh start for Uncharted, allowing Naughty Dog to further expand the open-world game design of The Lost Legacy. Speaking of which, Shaun Escayg, Creative Director and Writer on Naughty Dog’s most recent DLC, recently spoke to Eurogamer about all things Uncharted, and why it’d be foolish to think that Sony was ready to retire its action-adventure flagship. Granted, if Uncharted has a future at Sony, Escayg won’t be a part of it, as the seven-year veteran has since announced his decision to move on to pastures anew – Square Enix, to be specific, where he’ll help spearhead that licensed Avengers game. In closing, we’ll leave you with two final predictions: either Sony is planning to shop Uncharted to another studio – Neil Druckmann has hinted at the possibility before, while Naughty Dog brass have long made it clear that they have plenty of other ideas in the pipeline – or the first-party studio has shelved the next Uncharted until the inevitable launch of the PlayStation 5. The road ahead is cloaked in mystery, then, and until The Last of Us: Part II releases in 20XX, Naughty Dog will likely keep the Uncharted franchise under lock and key – not unlike those artifacts that shipped Nate off on a globe-trotting adventure in the first place. Whatever path Naughty Dog chooses, though, we’ll be along for the ride. And remember, sic parvis magna.